Also referred to as Hyundai Power Washers. 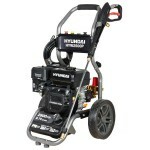 Hyundai have just recently re-introduced into their power line-up, three new models of petrol pressure washer. 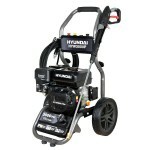 After a short break in the market, Hyundai have returned with one medium duty, and another two professional level petrol pressure washers to add to the garden machinery range now available from Hyundai. 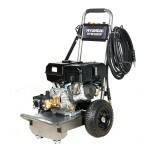 Hyundai Pressure Washers are well-built and a world leading brand in pressure washer pumps and parts, making all the difference in terms of quality and reliability when on the job. Backed up and powered by a variety of hard-wearing Hyundai engines, the new Hyundai petrol pressure washer range is certainly one to look out for.